The Texas Community Music Festival is coming! The Texas Community Music Festival: the biggest little festival you’ve never heard of. Kind of a wordy slogan, but it fits! Hello, all! 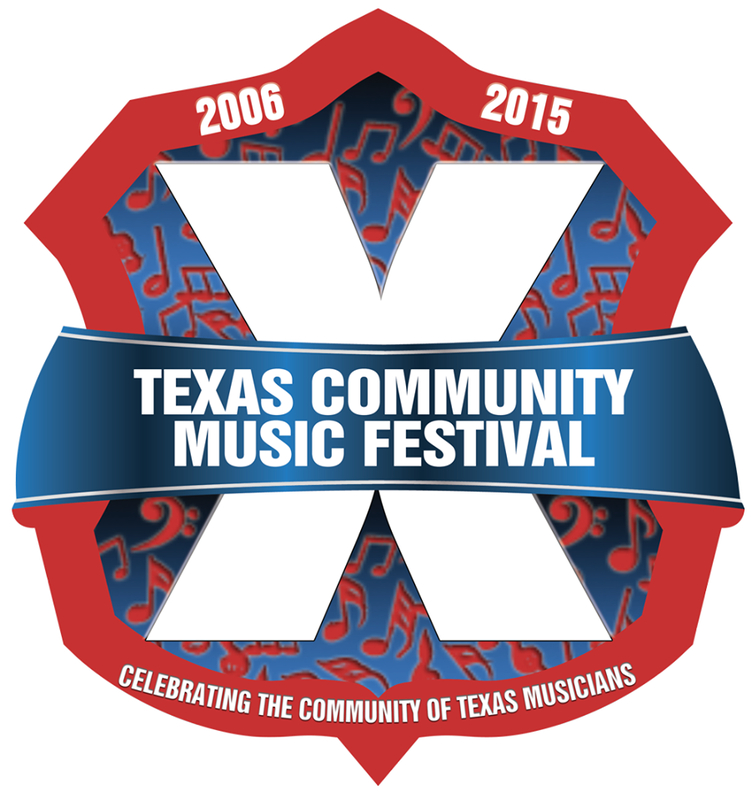 I’m Kathleen Brotherton of Ms. Kat’s Music & Movement, guest-posting today to let you all know about the upcoming Texas Community Music Festival (or for short, the TCMF) that is celebrating its TENTH anniversary in 2015! As a music-loving parent, it can really make you feel like you’re out of the loop, missing out on a lot of fun, and no longer a part of the “Austin Experience.” The bravest of us (or the most foolhardy?) may decide to tough it out and make it happen. And here’s the reality of the situation. You need to make it through Austin event traffic and detours. You need to find a safe, inexpensive, stroller-walking distance place to park your minivan. OR, you need to figure out a way to condense your day’s gear into a form that’s portable on a shuttle bus — and then trust that in the event of a meltdown, your child’s or your own, that the shuttle will get you back to your vehicle in a timely manner. You have to have perfected your day-packing to include the day’s diapers, changes of wardrobe, downtime entertainment, snacks, water bottles, sunscreen, and hats. You need to navigate huge crowds of people, and make it through the opening bands, and the next bands, and the pretty-good bands, and the bands you’ve never heard of, to get to THE ONE BAND YOU’RE DYING TO SEE. And at that precise moment, your kid Loses. Her. Mind. You’ve mentally turned the minivan around, put it safely back into your garage, haven’t you? Come to the TCMF X, April 17-26, 2015 at Central Market! It’s local. Austin Music by Austin People. And there’s a playscape! And parking! And you don’t have to cook dinner or tidy up! I’ll be there, emceeing and co-piloting for my third year under the direction of founder and the Austin Music People’s “Unsung Hero of the Austin Music Industry” Herb Holland! The tenth annual Texas Community Music Festival (TCMF) will be held April 17-26, 2015, at Central Market North in Austin, and will feature Texas’s most diverse lineup of musical performers presented this year. Ranging in size from single performers to ensembles of 70 pieces or more, and running the musical gamut from classical, to rock, to jazz, to world beat — and everything in between — TCMF X truly has something for everybody’s musical taste. Since 2006, tens of thousands of music lovers have enjoyed the spectacular Austin spring weather and music and dancing at TCMF. The 2015 festival will again be held entirely at Central Market North, thanks to the generosity and long-term commitment of H-E-B and Central Market. All performances are family-friendly and free admission. The 2015 TCMF promises to continue the tradition, as performances will be staged over 10 consecutive days and nights at Central Market North. A number of musical ensembles have participated in each and every TCMF since the beginning; many joined the “family” in the second year of the festival. Many new ensembles, bands and performers will make their TCMF debut in 2015. The festival is hosted by the Austin Civic Wind Ensemble, Austin’s oldest community band and is sponsored through the generosity of H-E-B and, for the tenth consecutive year, Central Market North. Additional sponsorship has been provided by a number of local merchants and individuals who have donated to help keep TCMF FREE for ALL! Please consult the festival schedule for details on all TCMF performances and performers, at http://www.tcmfestival.com. Mother Falcon, just one of the *hundreds* of performances over the years at the TCMF! And zoomed out a bit, to show you what the up-front-and-center crowd might look like on any given night! Ms. Kat’s Music & Movement will be posting regularly from the festival. I really hope to get a few photos of your rockin’ little ones getting down to the local music, while deserving moms and dads have a glass of wine on a sunny deck! See you there! For more information, visit the Texas Community Music Festival website. Central Market, 4001 N. Lamar, Austin.